RESQ Charitable Trust - Once again, there are elephants at RESQ! 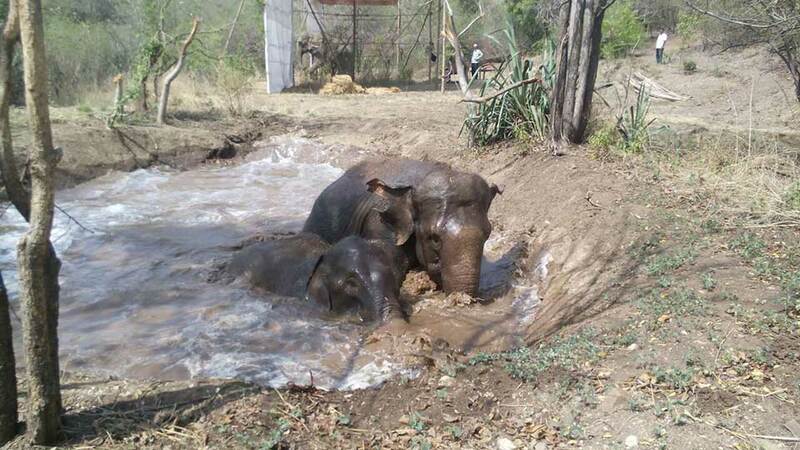 Four circus elephants have been rescued ages 6, 12, 18 and 22 by Wildlife SOS and their brilliant team. The elephants are currently in Pune being looked after by RESQ and Protecterra. These elephants were continuously abused in the circus and kept in extremely poor conditions before their rescue. They display stereotypical stress behaviours and have always associated humans with cruelty. You can see in the pictures that they are finally getting a taste of freedom. They are being fed wholesome food, getting mud baths and we are hoping they already know that they are now in a safe place. Please HELP us raise some awareness and funds for this Nut Herd..their names are Peanut, Coco, Wally and Mac. You can call us on 7758805598 or e-mail info@resqct.org to get more details and to donate.